Just when did Egyptian pharaohs such as King Tut and Rameses II rule? Historians have heatedly debated the exact dates. Now a radiocarbon study concludes that much of the assumed chronology was right, though it corrects some controversial dates and may overturn a few pet theories. 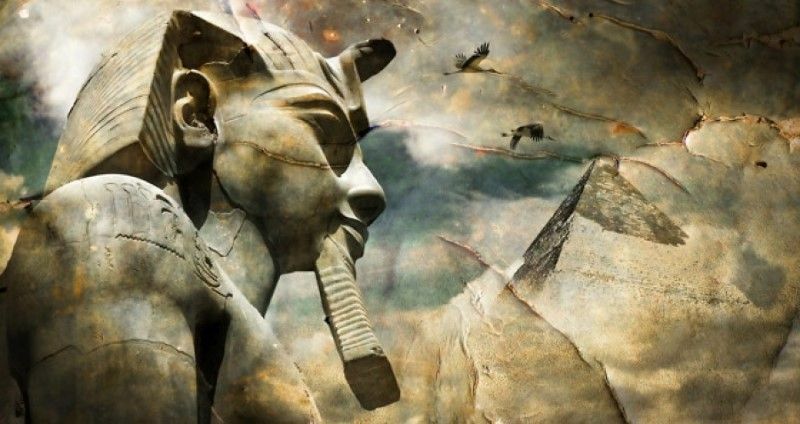 “This is an extremely important piece of research that shows clearly that historical dating methods and radiocarbon dates are compatible for ancient Egypt,” says Kate Spence, an archaeologist at the University of Cambridge in the United Kingdom. Egyptian records, such as the writings of the 3rd century B.C.E. historian Manetho and inscriptions found at key sites such as Saqqara and Karnak, provide what are called “floating chronologies” because they are internally consistent but not anchored to absolute dates. On the other hand, they sometimes refer to astronomical events whose dates can be calculated today. Thus, scholars are confident that they are not wildly off the mark. But it’s difficult to be precise. For example, the first known pyramid, the Step Pyramid at Saqqara, was built as a tomb for King Djoser, and historians usually put the beginning of his reign between 2667 and 2592 B.C.E. But one recent paper by Spence, based on astronomical calculations, put it as much as 75 years later. Radiocarbon dating has been too imprecise to resolve these contradictions because in this period it usually has error ranges of between 100 and 200 years. A team led by Christopher Bronk Ramsey of the University of Oxford in the United Kingdom adopted a two-pronged strategy to get around radiocarbon’s limitations. First, researchers searched museum collections around the world for plant remains directly associated with the reigns of particular kings or periods, often using offerings from pyramids where the kings were buried. The 211 plant samples were radiocarbon dated. Second, the team used a mathematical modeling approach called Bayesian statistics to compare the patterns in the radiocarbon and historical dates and come up with the most likely correlation between them. The researchers constructed a separate model for each of the three main Egyptian periods: Old Kingdom, Middle Kingdom, and New Kingdom. This allowed them to increase the precision of radiocarbon dating of each period to 76, 53, and 24 years, respectively. Yet the new study does not resolve all of the outstanding issues. In a Perspectiveaccompanying the paper, archaeologist Hendrik Bruins of Ben-Gurion University of the Negev in Israel points out that one major controversy remains unresolved: the timing of the massive eruption of the volcanic island of Thera in the Aegean Sea, which transformed the history of the eastern Mediterranean and has important implications for understanding the relationship between Egypt and the Minoans, another powerful culture of the time. Previous radiocarbon dating suggests that the eruption took place at least 100 years before the New Kingdom began, which the new dating puts at no earlier than 1570 B.C.E. But radiocarbon and historical dating by University of Vienna archaeologist Manfred Bietak’s team at Tell el-Dab’a in Egypt has concluded that the Thera eruption took place during the New Kingdom era. Bietak says that although the new study is a “serious and innovative approach,” the team’s need to use Bayesian statistics to narrow its radiocarbon date ranges “expose[s] the weakness of radiocarbon chronology.” But Sturt Manning, an archaeologist at Cornell University, says that the field must now accept that “there is something wrong” with the stratigraphy and dating of the site of Tell el-Dab’a rather than the chronology as a whole.